SmartBones have all the benefits of a rawhide chew... WITHOUT the RAWHIDE! Many veterinarians are concerned with the potential health risks associated with dogs consuming rawhide. 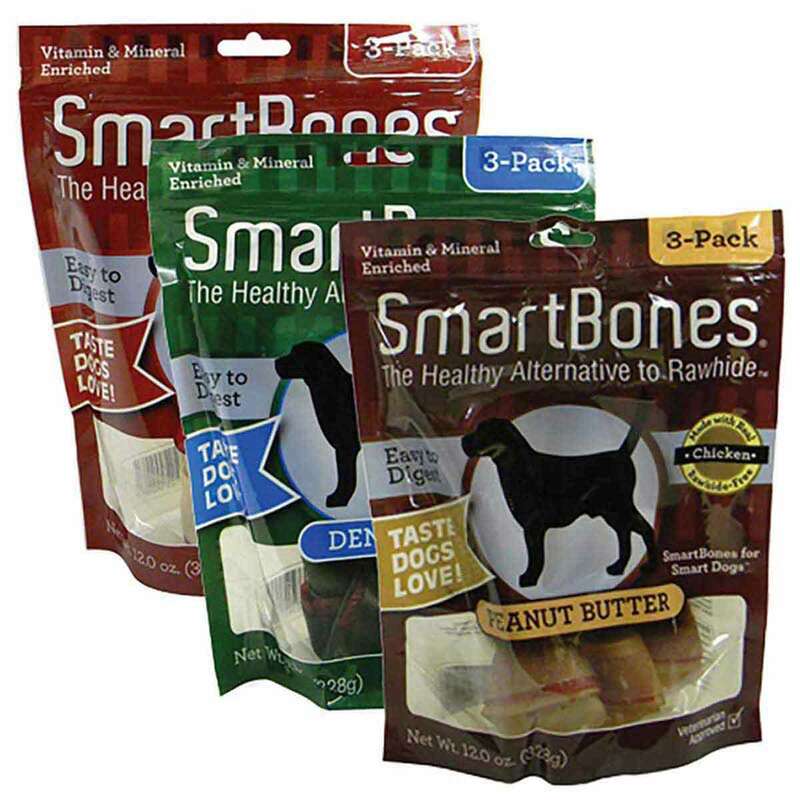 NO RAWHIDE SmartBones are made with REAL ingredients for a scrumptious tastes dogs can't resist!